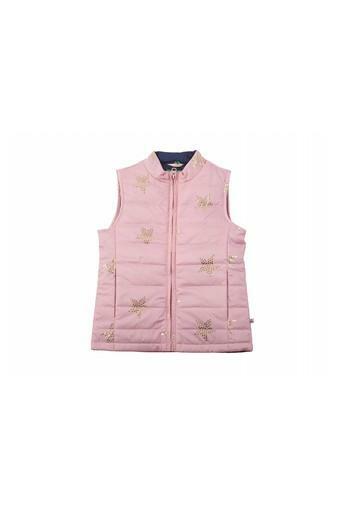 Your daughter will look very cute when you make her wear this jacket from the coveted brand, United Colors of Benetton. It has a zip closure at the front that makes it convenient to wear. Moreover, it features a print pattern, which renders it trendy, while the zip through neck further adds to the overall design. Tailored with care using a fine quality fabric, this sleeveless jacket will keep your daughter cosy all day long. You can make her club it with a top and a pair of jeans for any occasion during winter.